Could Frugalo Cure What Ails the Daily Deals Industry? Is Daily Deals Dashboard Frugalo The Cure For Groupon Fatigue? Would you please pass the funding? Frugalo is a social savings network that helps bargain-hunters share and discover ways to save money with friends, as well as consolidate their deal purchases in one place. Frugalo is a social savings network that helps the 90 million online bargain-hunters share and discover ways to save money with friends, as well as consolidate their deal purchases in one place. With the explosion of limited-time savings opportunities through daily deals, flash sales and e-retailers, bargain-hunters are frequently bombarded with irrelevant savings solicitations via email. 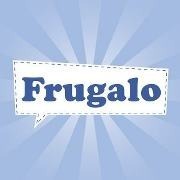 Frugalo makes the chaotic world of limited-time offers more fun, relevant and social. Our Tripit-like application unearths all deal-related emails from a shopper's inbox and displays offers in a clear, personalized stream. Shoppers can manage all of their purchases, share deals with friends, be alerted when friends make purchases on limited-time offers, and discover deals that are socially curated and align with their past purchase behavior. Frugalo is developing a community of online shoppers who frequently transact on relevant savings opportunities. Our goal is to partner with marketers and retailers to help present community members with meaningful savings opportunities, while providing marketers and retailers a new channel for lead generation and offer targeting. Frugalo has developed defensible personalization and social technology that helps shoppers find relevant savings opportunities from their past purchases, as well as their social network. Fruglao is the first social savings platform that helps friends find ways to save money through their social network, and heavily utilizes Facebook for organic customer acquistion through value-added user actions. Frugalo was featured in a VatorNews article: "Twitvid buys AngelPad-incubated start-up Frugalo "
Frugalo was featured in a VatorNews article: "Frugalo launches as your daily deal personal assistant"